TensorFlow is an open-source software Python-based library developed by Google. 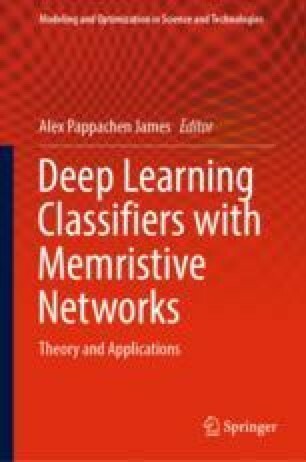 It has high popularity in machine learning and deep learning area due to its simplicity, flexibility, and compatibility. In this chapter, we introduce the basic syntax of the TensorFlow and its main operations required to construct an artificial neural network. We briefly introduce the codes for building a recurrent neural network and convolutional neural network for example of MNIST based handwritten digits classification problem. The TensorFlow is an open-source library that widely used in machine learning and deep learning networks design. A tensor is an R-dimensional array. add(), multiply() and matmul() are mathematical operations used to add, multiply and perform matrix multiplication of tensors respectively. The connection of a tensor object and an operation object are defined as a graph. As soon as a model is ready, a loss function, optimizer, and metrics should be introduced into the network. Initialize variables before a compilation of the session. Convolutional neural networks (CNN) are widely used in areas related to image classification and recognition. A recurrent neural network is the type of neural network used to solve a time sequence related problems such as a natural language, sound recognition or stock price prediction. The main difference of RNN from a CNN, it sends its output back to the input.